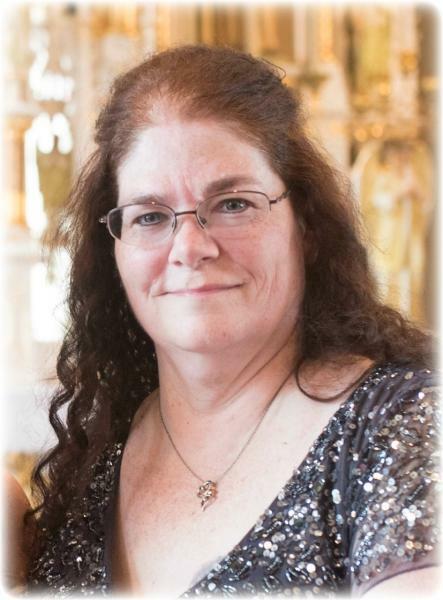 Kristine (Kris) Kay Pollman, age 50 of Sac City, IA, passed away unexpectedly on Saturday, January 12, 2019, at Loring Hospital in Sac City, IA. Kris was born on January 2, 1969, to parents Marlin Bauer and JoAnn (Wiederien) Bauer in Manning, IA. She grew up in Dedham, IA, with her seven other brothers and sisters where they worked on the farm and delivered papers. They made lots of other memories like playing volleyball over the swing set, camping, playing streetball with the neighbor kids and riding their bikes out to grandma’s house for the day. Kris attended Kuemper Catholic Schools up until her senior year when she transferred to Sac Community Schools and graduated in 1987. Two weeks after graduation, she married the love of her life, Kevin Pollman, on May 29, 1987, at the Saint Bernard Catholic Church in Breda, IA. They moved to Monroe, IA, where they welcomed their first child, Kerry, in March of 1988. Shortly after, they moved to Lytton, IA, where they made their home for the next 15 years and welcomed their daughter, Tiffany, in February of 1991. Kris and Kevin also welcomed two amazing grand boys to their family, Ash and Kaden. Kris had a passion for helping people and chose to go back to school to become a registered nurse at Iowa Central Community College, graduating in 1998. She started her career at Loring Care Center before starting as nightshift emergency room nurse at Loring Hospital. Kris spent her time volunteering with the Lytton Fire Department as the first female firefighter on the department, as a Girl Scout leader for troop 171 and many weekends at Humboldt Dragway as a crew member for the “Bits-n-Pieces” race truck alongside her husband and the Lande Racing Team. In her spare time, Kris could be found crocheting beautiful customized blankets, many of which she donated and gave away. She once attended an Alabama concert and was able to meet the band in the hotel lobby and go out to supper with them. She also liked to collect anything Mickey Mouse. She enjoyed reading a good book, helping her dad back at the farm shearing sheep and spending time with her grand boys. Kris loved her family unconditionally and will be greatly missed by those who knew and loved her. Those left to cherish her memory include her husband Kevin Pollman of Sac City, IA; children: Kerry (Liz Klocke) Pollman of Charter Oak, IA, and Tiffany (Matthew) Koster of Breda, IA; grandchildren: Ash and Kaden Ricklefs; mother JoAnn Bauer of Manning, IA; brothers: Keven Bauer of KS, and Kraig Bauer of OK; sisters: Kathy (Mike) Berg of Arcadia, IA, Kimberly Adams of Buck Grove, IA, Karie (Kelly) Eisma of Hawarden, IA, Karla (Adam) Dorale of Charter Oak, IA, and Kyndi (Geoff) Jensen of Urbandale, IA; in-laws: Shirley (Richard) Dentlinger of Carroll, IA and Gary (Jo) Pollman of Northboro, IA; several nieces, nephews, many extended family members and friends. Kris was preceded in death by her father Marlin; parents-in-law Walter & Dorothy Pollman; brothers and sisters-in-law: Tom Adams, Karl and Linda Hinrichs, and Debra Pollman.